We’re proud to be your local expert for tree care in the Lake Norman area. 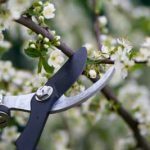 Whether you have a residential property with big, beautiful trees or a commercial property that requires professional pruning services, you can expect to receive quality service from the owner himself, who is always on the job. If you’re not sure if you need our help, here are 3 signs it’s time to call your local tree care expert. Thinking of Planting or Moving Trees but Unsure of Where- It may seem like an easy job to determine where to plant trees, but there are a lot of factors to consider. If the tree you are growing will eventually mature into a large one, it will take up more space on your property. You’ll need a local tree care expert to help find the right location, far from the building structure, concrete, and any piping. Your Property Has Dead or Fallen Branches- A tree covered with dead branches can become a liability on your property, as they are a danger to people and property below. Our local tree care team knows how to perform routine tree trimming and at-risk limb removal to promote the longevity and safety of your trees. You’re “Stumped”- An exposed tree stump on your property can be an eyesore. It can also pose a tripping danger to anyone on your property, in addition to taking up premium planting space. Our stump removal services use a tree stump grinder that is hands free to ensure safe tree stump grinding – and make those tree stumps disappear.